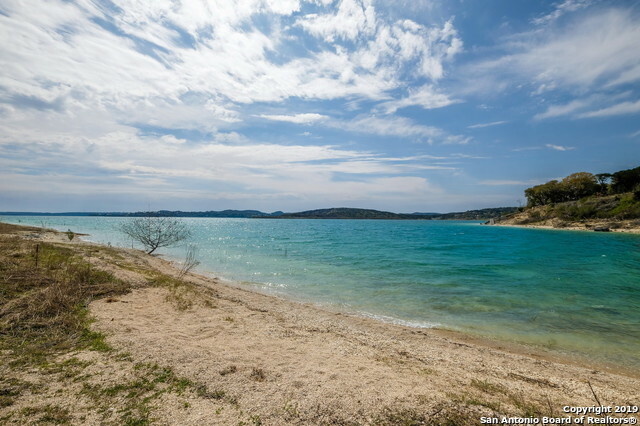 All CANYON LAKE HILLS homes currently listed for sale in Canyon Lake as of 04/20/2019 are shown below. You can change the search criteria at any time by pressing the 'Change Search' button below. "AWESOME WATERFRONT HOME IN CANYON LAKE, STUNNING VIEWS OF THE WATER.ELEGANT CUSTOM HOME OFFERING UNPARALLELED CRAFTSMANSHIP AND EXCEPTIONAL AMENITIES.THE HILL COUNTRY DESIGN IS REMARKABLE INSIDE AND OUT.FEATURES INCLUDE JENAIR APPLIANCES, GRANITE COUNTERTOPS ,CROWN MOLDING, CUSTOM WINDOWS MAXIMIZING THE WATERVIEWS, GOURMET KITCHEN WITH ISLAND, GORGEOUS MASTER SUITE, W/SITTING AREA, JACUZZI TUB, SEPARATE TILED SHOWER AND DOUBLE VANITIES.THIS HOME SCREAMS DESIGNER,THE BEST IN QUALITY .ONE OF A K"
"New home built by Clear Choice Homes. 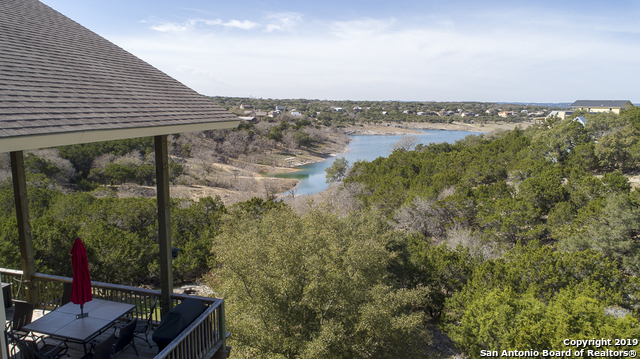 174 Edge Hill Drive has some of the best water front and access to Canyon Lake. 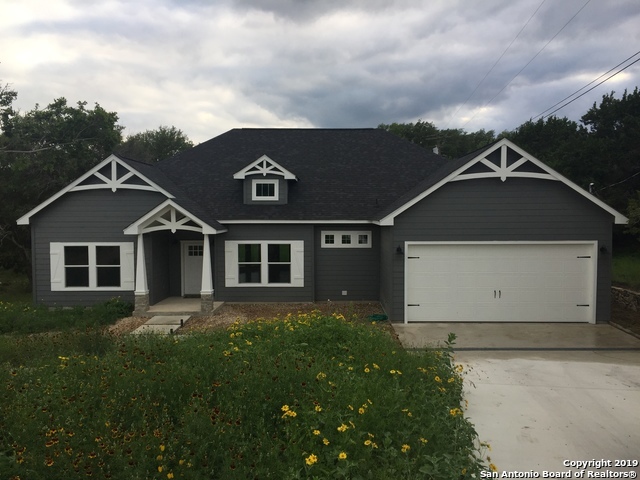 Easy walk to the water from this lovely home with many upgrades including a 22 gauge metal roof, 16 SEER High Efficiency HVAC system and water softener. Italian canopy vent hood will complete your kitchen with an electric cooktop for easy cleaning, piped for gas for those that love to cook with gas. Buyer to verify all measurements." 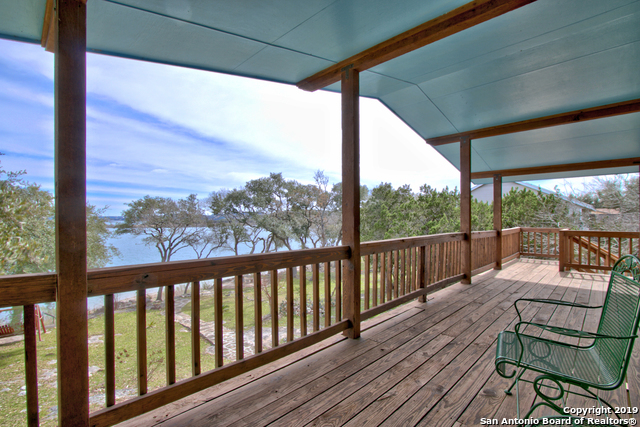 "Beautiful lakefront living with sweeping views just steps to the water. Great gathering place for family & friends. Large open living, dining & kitchen opens to upper deck with expansive views. Master suite is just off living areas, lower level has 2 bedrooms & sunroom. Walking path takes you to a level area at water's edge for fun in the sun. Whether it's weekend living or a full time home, this is what lake living is all about. 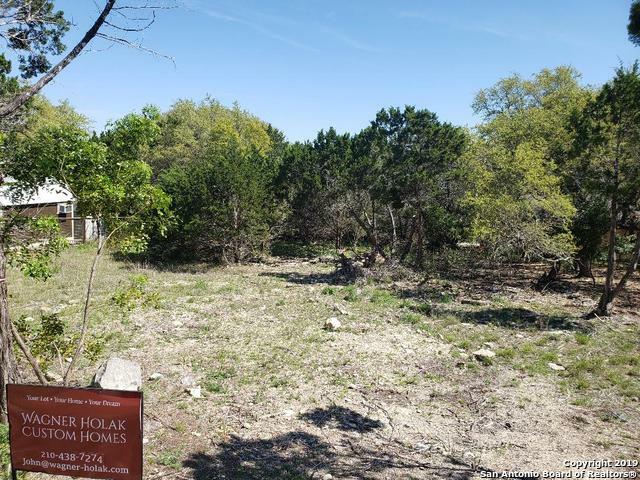 Exemplary Comal schools; located on southside of lake minutes "
"Located on the Southside with views of Canyon Lake . This home is what lake living is all about. Lots of outdoor living space to entertain with 3 floors making it nice to be able to spread out. Main floor has living, dining, AWESOME Kitchen, 2 bedrooms and full bath. Lower level with the Garage is 2nd living space, bedroom w/ full bath and utility room. Master bedroom with office and full bath is on the top floor. 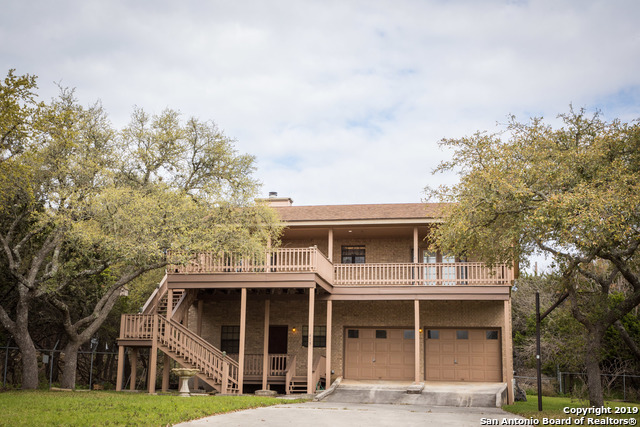 Lots of storage space for all your toys"
"*4,476SQFT 3 STORY CUSTOM LAKEVIEW HOME 1 BLOCK FROM BOAT RAMP #7. LOTS OF PARKING FOR RV AND BOATS.FRONT COVERED BALCONY AND 3 COVERED DECKS IN THE BACK.CUSTOM SPIRAL STAIRCASE AT ENTRY.HUGE GAMERM WITH FULL KITCH.GUEST SUITE WITH FULL BATH.LRG OFFICE WITH LAKE VIEW.INTERCOM SYST.EAT IN KITCH.PRE PLUMB WTR SOFT.CROWN MOLD.ART NICHES, STEP CEILINGS, ZONED HVAC.ALARM SYSTEM, LOTS OF BUILT IN STORAGE, GATED ENTRY, LRG GAME RM.LRG LNDRYRM ON DOUBLE LOT. 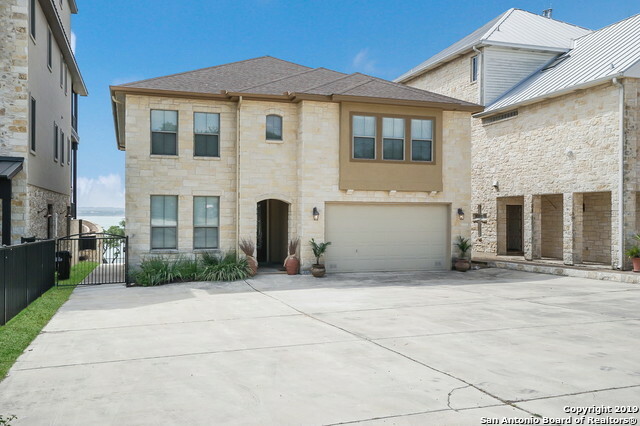 OVERSIZED GARAGE.LOT 1206 AVAIL ADDITIONAL 20"
"Enjoy stunning Canyon Lake views from the expansive deck and master bedroom! Perfect for entertaining with a double-sided fireplace and a wet-bar in the living area. Oversized garage has a large workspace for hobbies and there is also an outdoor storage shed. This meticulously maintained and fully fenced home is located on two lots giving you a great amount of privacy." "Gorgeous Craftsman new home. Attention to detail is obvious as you walk thru this home. Engineered Oak hardwood floors. Kitchen boasts Island with Acaciawood butcher block counters, stainless appliances & white shaker maple easy close cabinets with undercabinet lighting. Huge Utility room with walk in pantry. Masterbath has dual sinks, freestanding tub & sep. frameless glass shower with overhead rainhead. All bdrms have walk-in closets. Hallbath has a walk-in 5' shower. Beachy colors." 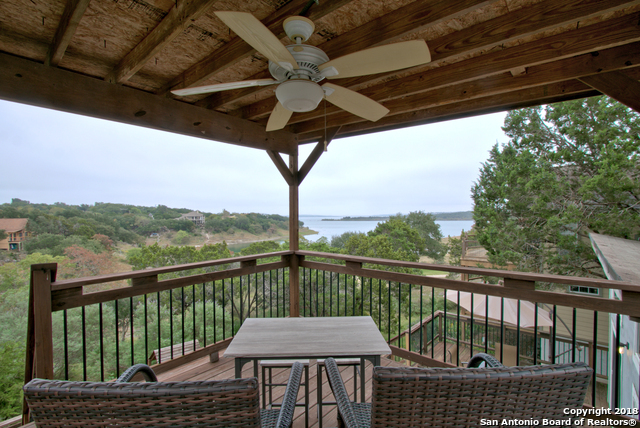 "Light and bright Canyon Lake waterfront cottage ready for your weekend home or permanent residence. Entertain on the sunny & spacious main deck or take in the expansive view of the lake from the upper level. Year round enjoyment: watch the seasons change from the decks or snuggle up to the wood burning stove in Winter. Deep water access point for boats and effortless entry for swimming. Close to boat ramp. Easy & clear walk to the waterfront. Roof approx 6 yrs old, AC is 3-4 yrs old. Pool in sub"
"This darling, move in ready home, sits on a corner lot with 3 bedrooms/3 bathrooms and is 2010 square feet. Updated features include new wood floor, new carpet, and fresh paint. The A/C was updated in 2017. Large family room with wood burning fireplace is open to the kitchen. Fully fenced backyard with covered patio. 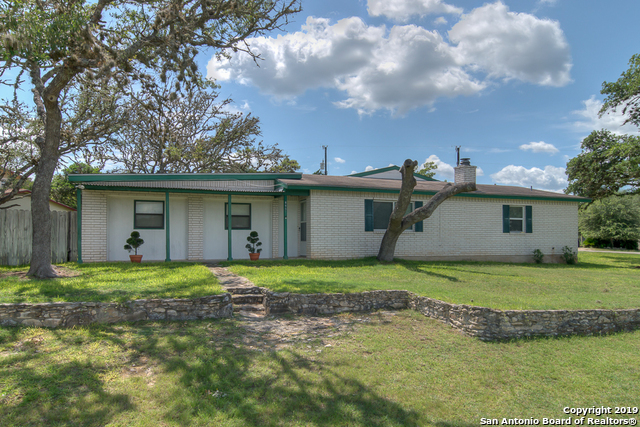 Very close lake access with a boat ramp, 5 acre park and community pool! Don't wait! This one won't last long!" "Make this Your Home!! AC and Roof replaced in last 12months !! Beautiful and SHADY lot w/ loads of OAKS OAKS OAKS !! HUGE LIVING ROOM w/ lovely FIREPLACE *** Sits on large double lot ** UNBELIEVABLE oaks, close to the lake *** quiet neighborhood **"
"THIS IS A NEW SISTO HOME IN A GREAT SOUTHSIDE LOCATION. UNDER CONSTRUCTION WITH MID JUNE MOVE-IN DATE. 2 STORY/OPEN FLOORPLAN 3 BR/2.5 BATH WITH MASTER DOWN. 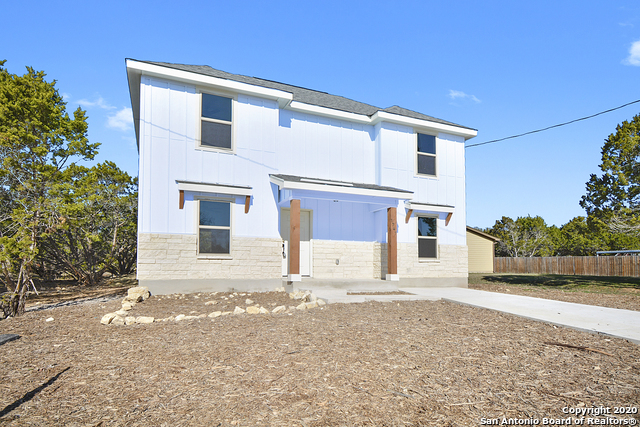 FEATURES INCLUDE GRANITE COUNTERTOPS, STAINLESS APPLIANCES, STAINED CONCRETE/CARPET/WOOD LAMINATE FLOORING AND FULL LENGTH COVERED FRONT PORCH PLUS FENCED BACK YARD. BUILDER SUPPLIES A 3RD PARTY 1-2-10 YR WARRANTY. THIS NEIGHBORHOOD HAS 2 BOAT RAMPS, PARK WITH POOL AND SPORTS COURTS. 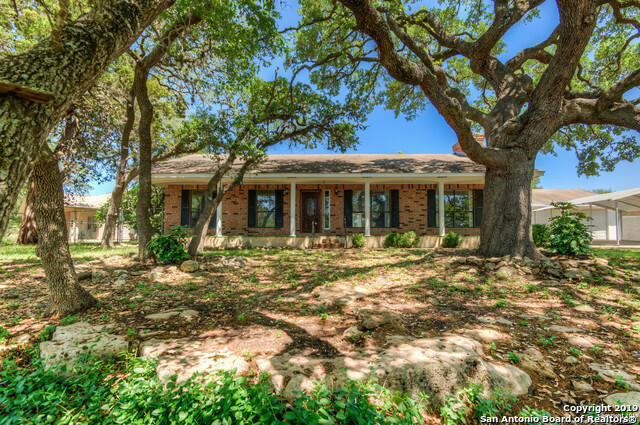 CONVENIENT TO SCHOOLS, SHOPPING AND HILL COUNTRY ATTRACTI"
"This beautiful Hill Country home is move in ready! Great space with an open floor plan & high ceilings, it feels much bigger than its 1563SF! 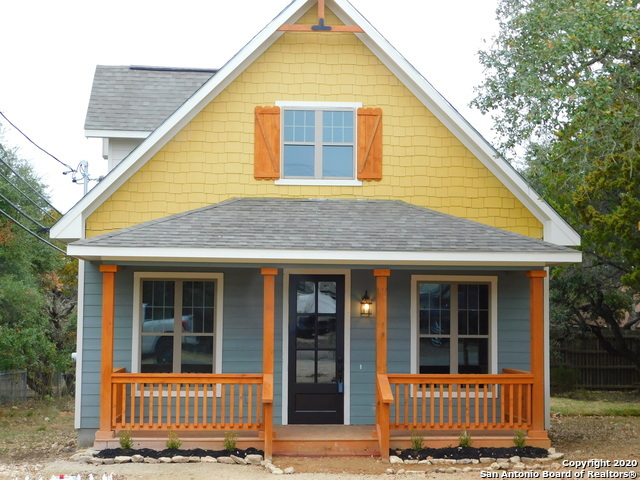 Entertaining is a dream with stainless appliances, a sweet back deck & fenced back yard. The Sunsetter awning provides shade in the summer & retracts in the winter. Generous bedrooms are inviting for guests or comfy space for your kids, all with walk in closets, master has 2 walk in closets and a sitting area,window coverings are included. New HVAC 2018!" 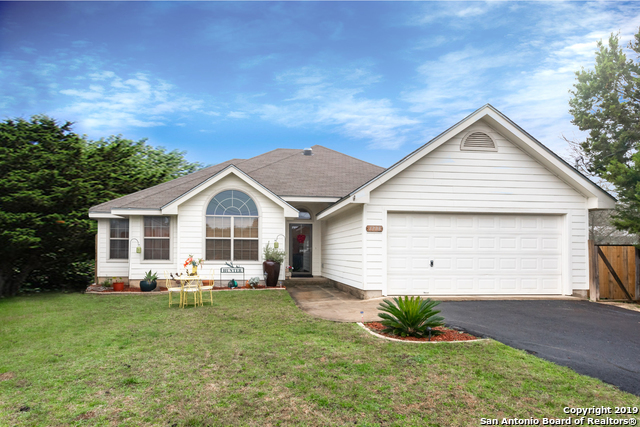 "Adorable 3 Bedroom 2 Bath Home with great out door space. FULL OF UPGRADES!!! Granite counter tops , 8 FT. Granite Island, Forever Wood Flooring Scratch & Dent Proof in Living Area & Bedrooms Footprints Free, 2' Wood blinds through out the house, Rain Shower Water Heads, Conserving Water Toilets, 12' Ceramic tile in showers. Lots of storage space under the house. Extra Measures for Insulation all pipes have been tripled wrapped, Radiant Barrier Spray , GEO-INSULATION LIFE TIME WARRANTY. Must See"